Happy Friday everyone!!! So, I guess some of you lucky friends are starting spring break!! I hope you have fun, I know I have three more weeks until spring break. AND SO much to do before then!! 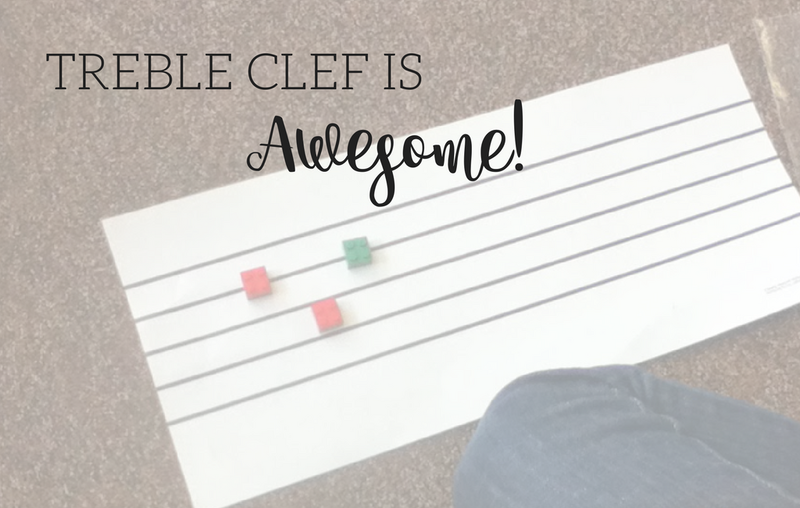 My 4th and 5th graders read off the treble clef all year but before I start recorders I do a lot more focus around the treble clef. 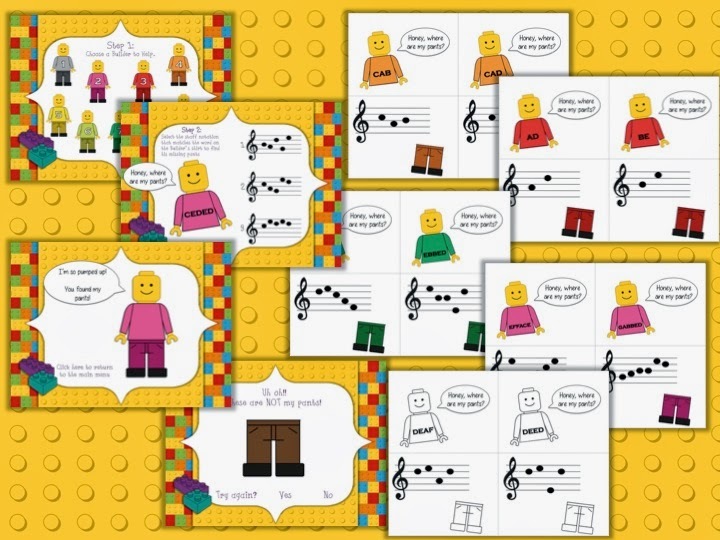 Last year I made a few files, including "Be a Staff Detective", for teaching and reinforcing the treble clef. 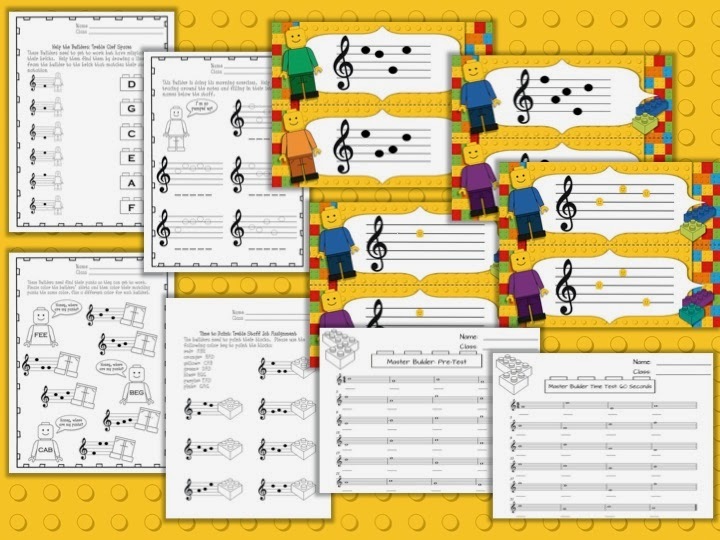 It worked really well but I'll be honest, I'm a little MADD (music form of ADD) in that I get bored using the same thing every year and like to have some different ways of teaching concepts throughout the years. 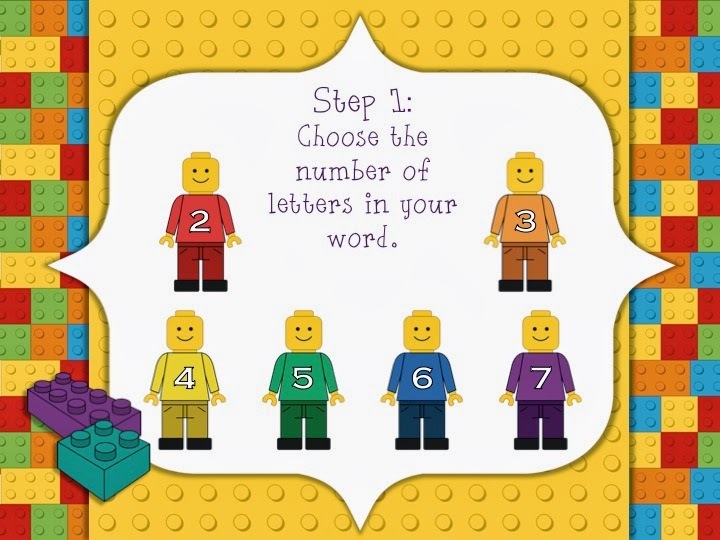 When my son insisted we all go to the Lego movie it sparked some ideas of new ways to teach things and I'm really happy with the first product. 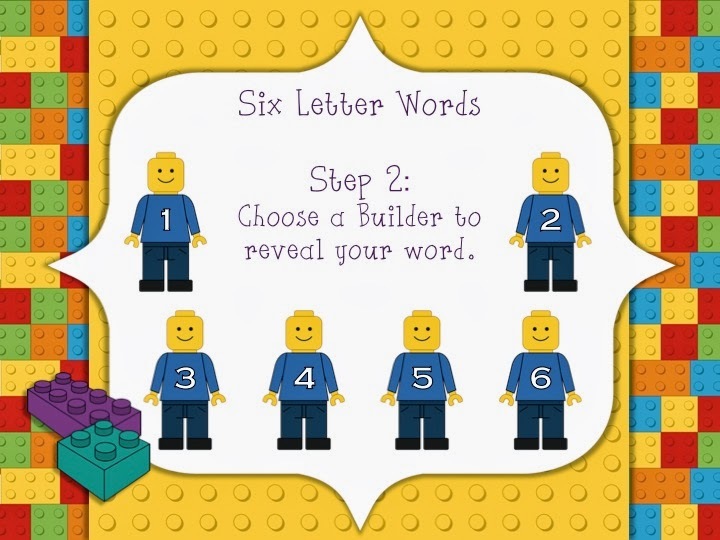 If you read my blog you know that I've blogged about using Legos before in relationship to solfa and half steps. I've been meaning to blog about how I used them in tim-ka preparation. 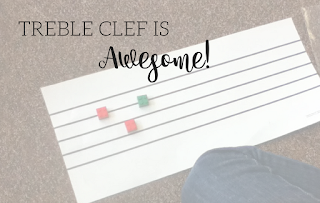 So, this is the first of a series of files for "BUILDING" music literacy and it's called: "The Treble Clef is Awesome!" Then they wrote it on their own staff. Their jobs were to also check their work with a neighbor. 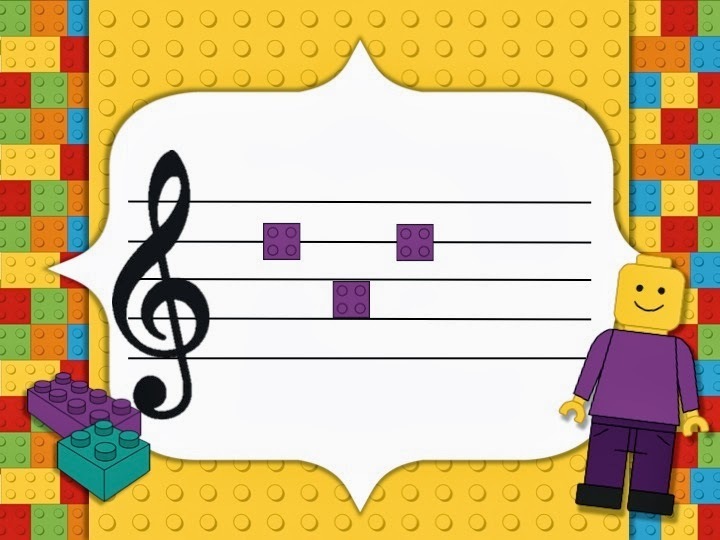 The other thing I really liked about using the Legos for notation is how much it helped the space and line placement. This is what we'd like it to look like, with the line notes centered on a line and the space notes filling up the space. Both teams were expected to write the word out on the staff. 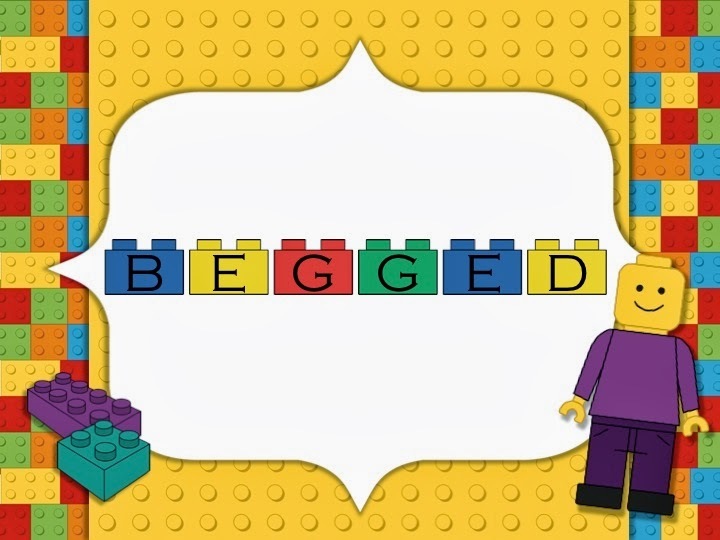 The team who's turn it is gets to answer first but if they are wrong, and the other team has correctly spelled the word out on their floor staff then they can steal the points. Now, for some reason, this year the kids in 5th grade are very competitive so I've added red points. Red points are added when I hear someone being negative on a team and are deducted at the end of the game. 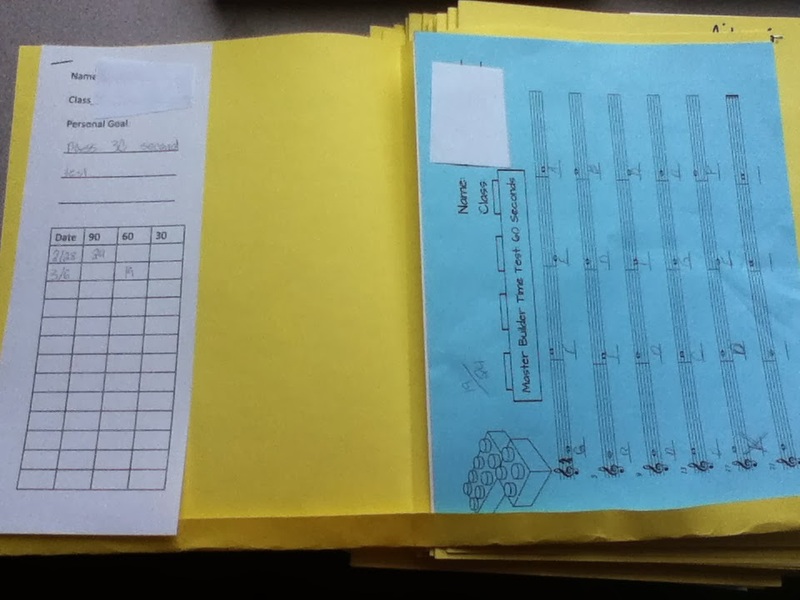 Additionally, my students are doing time tests each time they come to music. They all start on a 90 second test. When they pass they go on to 60 seconds and from there they go on to 30 seconds. "Lines and Spaces are Awesome!!" 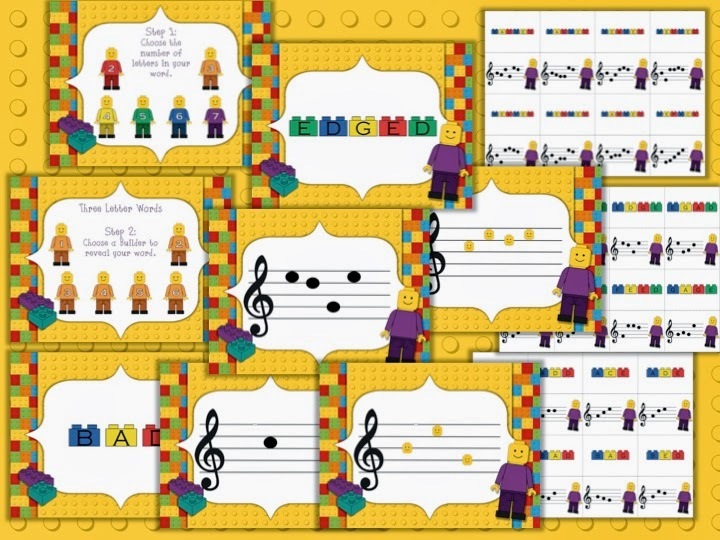 My goal before the start of the 2014-2015 year is to have a "Music is Awesome" set that can be used as a bulletin board and a school year theme. I hope you all have an AMAZING Friday!!! AHHH! I love you "folders"! Going to steal that idea! 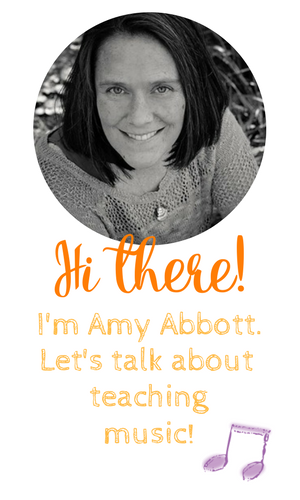 I LOVE this idea, and know that my kiddos will love it too. Hope to buy your TCiA file soon!!! 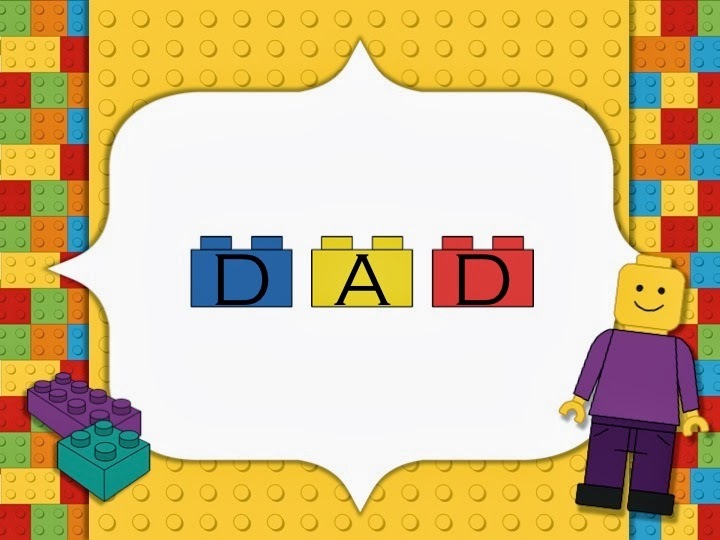 Going out to buy Legos now! Fantastic! 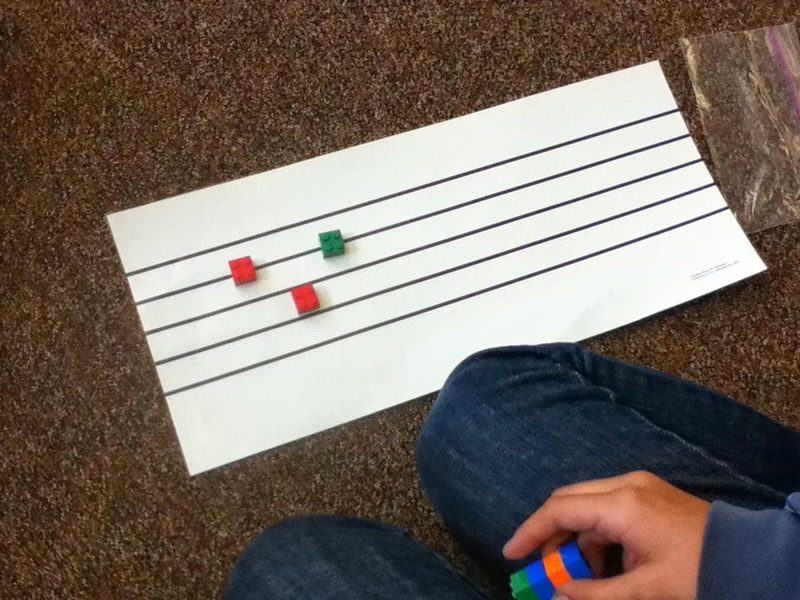 I had my second graders practice so mi do with Legos today. They ate it up. Thanks for the great idea.